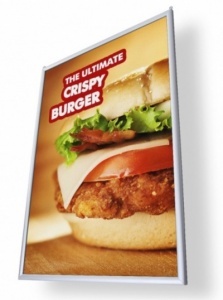 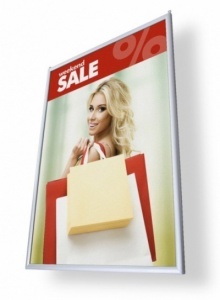 Our Double Sided Hanging Poster Frames are ideal for window and instore promotions. 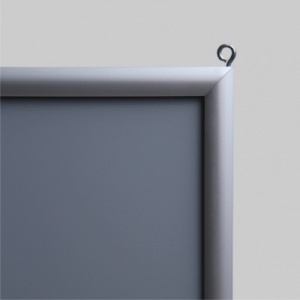 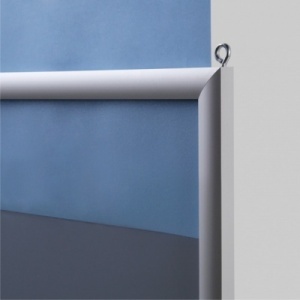 Ideally suited for ceiling suspension our double sided poster frames come with a stylish 20mm anodised aluminium frame. 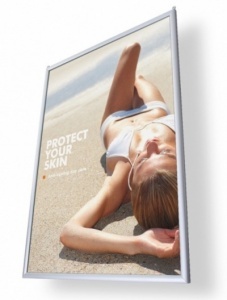 The posters slid in from the top of the frame. 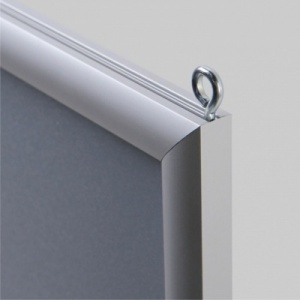 Being double sided the frame has a grey styrene barrier between the posters and UV resistant protective cover sheets to both sides of the poster frame.